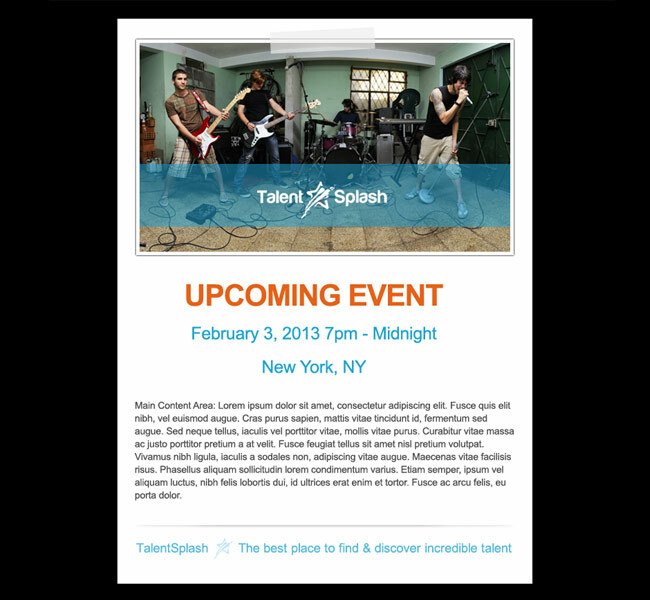 TalentSplash needed a special email template created for their users, a new offering on the site that allows talent to send out a custom email to promote an event. The template had to be clean and minimal and look sharp if used as is, but be flexible enough to allow them to make changes as needed. The top image can be switched out and all of the text can be edited as well.